A typological analysis of the film Black Swan (Aronofsky, 2010), using a Jungian perspective and insights from Jungian analyst John Beebe, exposes the rich psychological content offered by its characters. The story illuminates the inner journey we all must walk to develop those unconscious or unknown aspects of our personality that demand from us the attention required to live a more mindful life, a challenging task because facing what is not in our comfort zone might activate fears, frustration, and discomfort. In Black Swan, this is the case for ballerina Nina (Natalie Portman), who has to begin to develop her inferior function of extraverted sensing (Se) in order to interpret both roles, the white swan and the black swan. In this journey, the artistic director Thomas Leroy (Vincent Cassel) pushes Nina to connect with her senses and spontaneity to open the doors to personifying the black swan. Though she finds obstacles manifested in her mother Erica (Barbara Hershey) and her rival Lily (Mila Kunis), Nina transcends the darkness of these figures through her trickster energy, which is seen in her capacity to interpret both the white swan and the black swan. However, her last performance indicates the limitations of her trickster energy when balancing the dominant and inferior functions, leading her to kill herself while thinking that she has killed Lily. The film transmits a warning about the danger of engaging with the unconscious when there is a weak trickster such that, instead of supporting us in creative processes, it takes us to our own destruction. Nina’s character reflects this aspect, along with the challenges, difficulties, and creative moments that the inferior function activates in us all. Black Swan mirrors the story of many of us for whom the inferior function awakens a creative force that leads us in a painful but meaningful journey in which we search for a way to dance with our own shadow. The film is a psychological thriller that tells the story of the dancer Nina, who finds herself stymied when competing with a new rival, Lily. When Leroy considers Nina for the lead role in a production of Swan Lake, Lily appears to give him a good impression as well. Nina must work hard to demonstrate to the director that she can interpret both the white swan and the black swan that the production requires. The former represents innocence and fragility and the latter sensuality and spontaneity. Nina fits perfectly the aspects of the white swan and Lily those of the black swan, personifications that symbolize what we think we are and what we do not know we are—the shadow. In Nina’s case, if she wants to perform the role of the black swan, she must work on embodying the aspects of what is unknown to her by means of exploring and awakening her other reality. As the two dancers find themselves in competition, they become friends, and Nina gets closer to her dark side through an important awakening that moves her from an innocent and rigid child to a more spontaneous and open woman. Nina’s personality could be perceived as INFJ. In her behaviors she seems gentle, caring, and creative, and she places great importance on having things orderly in her ballet world. She is a perfectionist. Physically Nina embodies the features of an introverted intuitive type. She looks reserved and mysterious, indicating that, as Jung (1921/1971) explained, “as [her] main activity is directed inwards, nothing is outwardly visible” (p. 403). The description that Jung offers of introverted intuitive types defines the reserve and secretiveness of Nina, which is reflected in her cold facial expressions. Specifically, Nina embodies introverted intuition as a dominant function, suggested at the beginning of the film through the images of a dream. As Jungian analyst Daryl Sharp (1987) said, “The introverted intuitive type … has an uncanny capacity for smelling out the future, the not-yet-manifest possibilities of a situation” (p. 85). Describing the context of the dream, Nina says, “I was dancing the white swan. It was different choreography though; it was more like the Bolshoi’s. It was the prologue, when Rothbart casts his spell.” However, it is not only Nina’s narration of the dream that makes the audience expect a specific end, where she is under the spell of a powerful unconscious force, but also the image at the beginning of the film in which a dark and shadowy figure emerges from behind her, flinging his open hand towards her when she tries to escape. She is in the grip of her unconscious, indicating that the psychic movement in her life must come from the deep and dark aspects of her personality. This figure is a depiction of the psychological development that requires the activation of those elements of our personality that seem foreign and sometimes scary to us. In the dream, the shadowy figure represents the inferior function, which as Jungian analyst Marie-Louise von Franz (1971/2013) explained, “is extremely intense, but it breaks through only here and there and then fades again from the field of awareness” (p. 43). In Nina’s case, her inferior function of extraverted sensation appears as a dark figure embracing her, suggesting that she must awaken this aspect of herself in order to portray both the white swan and the black swan. Here, even when the ballerina thinks she can perform the opposite side of her known aspects, she must free herself into a different mode of existence, relating deeply to those challenging elements that will bring a more intimate relationship with herself. However, as extraverted feeling (Fe) supports introverted intuition (Ni) for INFJ, Nina would look for harmony in her relationships, seeking to understand what is important for others. This is represented in those scenes where Nina expresses her sadness for the situation of prima ballerina Beth (Winona Ryder) whom the artistic director has decided to replace. When Beth is at the hospital due to an accident, Nina visits her, taking flowers and sympathizing with Beth’s pain, which illustrates what Sharp (1987) said: “The feeling has some personal quality—there is a genuine rapport with others—even though the subjective factor is largely suppressed” (p. 50). Extraverted feeling is on display in a poorly developed way in Nina’s relationship with her mother Erica, whom Nina seeks to please, repressing other aspects of her personality that are attuned to a more mature expression of herself. For instance, Nina’s bedroom is like a child’s room: full of dolls, stuffed animals, and pink decor. Her mother treats her as a little girl, encouraging her to continue with childish behaviors because in that way Erica, who is a retired and frustrated ballerina, can control Nina. The relationship between mother and daughter suggests an unhealthy bond characterized by the dissociation from reality and the obsessive-compulsive behaviors of both of them. In Nina’s case, the primitive expression of her inferior extraverted sensation becomes the doorway to disturbing dynamics. Jungian analysts Donald Sandner and John Beebe (1995) explained, “As in many borderline conditions, this inferior function is activated, producing strikingly inferior attempts at adaptation, often of a compulsive, psychotic character” (p. 322). What Sandner and Beebe portray here can be seen in some of the scenes where Nina hallucinates that she is being chased by a woman identical to herself or that black feathers are growing in her back, generating an obsession for scratching her skin. The compulsive and psychotic character can be also seen in Erica’s behaviors, through which she expresses an obsession for her daughter’s career as a ballerina, holding her back from maturity. Erica has a roomful of homemade paintings of Nina as a young girl, suggesting an introverted sensation (Si) through which she lives in the past and preserves Nina in the past. Although Nina seems to have the support of her mother, this is a support that has been born from the frustrations of the mother, impeding in her daughter the transition from girl to woman and seeing herself in the life of the daughter. Erica gets her daughter stuck in the past with her, blocking her psychic development. 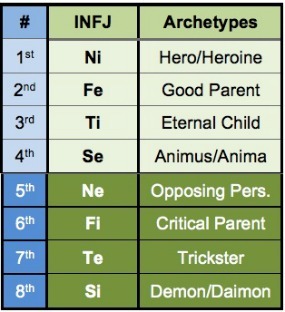 Erica seems to have introverted sensation in the dominant place, characterized by the capacity to hold the past as a reference to talk about the present, and her introverted sensation activates Nina’s eighth function (Si), which corresponds to the demonic personality in Beebe’s model (Beebe, 2006). In other words, Erica’s dominant function manifests in a destructive fashion in the mother-daughter relationship, connecting with the introverted sensation (Si) of Nina’s type that appears as a demonic aspect, acting in a destructive fashion rather than in a transformative sense. If unknown forces threaten the ego or our sense of identity, it might happen that we feel the urge to dissolve the threat through a conscious attitude or that we get overwhelmed by these demonic forces. When describing what can happen when an introverted intuitive represses sensation, Jung (1921/1971) indicated that “the form of neurosis is a compulsion neurosis with hypochondriacal symptoms, hypersensibility of the sense organs, and compulsive ties to particular persons or objects” (p. 403). Nina’s inferior function (Se) makes her have hypersensitive with symptoms of hypochondria, as when before the big ballet performance, she hallucinates feathers in her back and webbed toes. Nina is challenged to bring her inferior function into the room to play the role of the black swan. In the scene where artistic director Leroy is seeing Nina demonstrating that she can play both roles, he encourages her to be less controlled, less rigid, and more spontaneous. He says, “Not so controlled. Seduce us! Not just the Prince, but the court, the audience, the entire world! Come on, the fouettés are like a spider spinning the web. Attack it! Attack it! Come on!” Here, Leroy perceives that Nina’s extraverted sensation function is frozen, impeding spontaneous movements. His words seem to invite Nina to seduce not only the room and the audience but also the world, meaning her world. 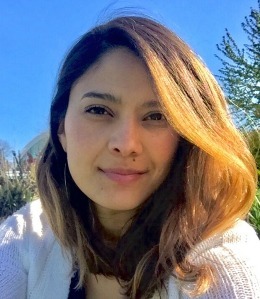 Clinical psychologist Naomi Quenk (1993) argued, “Extraverted sensing types are typically out ‘in the world.’ They experience sensory data from the environment purely and directly” (p. 141). Lily is the representation of this function, the kind of person who likes to live life spontaneously, experiencing sensory data from the outer world and pursuing sensual pleasure. However, Nina gets frustrated and confused because she does not know how to let go. As Quenk (1993) explained, “Dealing with details, especially in an unfamiliar environment, can trigger inferior extraverted sensing in introverted intuitives” (p. 161). Nina has to deal with details not only from the comfort zone of her introverted intuitive dominant function to interpret the white swan but also from the extraverted sensing inferior function to interpret the black swan. In order to mature as a woman, Nina must separate from the controlling and obsessive attitudes of her mother. For instance, Nina starts silencing and putting her phone away when her mother calls her, suggesting a more autonomous and independent way of moving in life. Her mother’s compulsion to take care of Nina as if she were a young child has resulted in the repression of the inferior function (Se) in Nina’s life, generating psychotic breakdowns like those that Nina experiences. When Jung (1921/1971) explained, “Naturally the intensification of intuition often results in an extraordinary aloofness of the individual from tangible reality” (p. 401), he was saying that the one-sided position of the intuitive function produces dissociation from reality. Nina has restricted her extraverted sensation, resulting in disturbing elements that appear as visual hallucinations in, as said, “a possessed and barbaric way” (von Franz, 1971/2013, p. 69). LEROY: Really? In four years, every time you dance, I see you obsessed, getting each and every move perfectly right, but I never see you lose yourself, ever. All that discipline, for what? LEROY: Perfection is not just about control. It is also about letting go. Surprise yourself, so you can surprise the audience. Transcendence. Leroy is inviting Nina to connect with the aspects of the black swan that psychologically represent those characteristics of the inferior function, extraverted sensation. Haas and Hunziker (2011) stated that for people with a developed extraverted sensation preference, “everything is a new experience. No two moments or situations are exactly the same. … [They] are usually active, restless, and adventurous” (p. 36). The black swan becomes the symbol representing those aspects of the inferior function that evoke surprise, spontaneity, and freedom from control and rigidity. It is here where the interpretation of the black swan requires an open mind, not to play the role merely, but to embody what seems foreign and necessary to us from a more authentic and personal place. From this moment on, Nina gets interested in Leroy’s suggestion about connecting with her extraverted sensation, but she is caught between childhood and adulthood. Nina is held in the tension of opposites; her mother violates Nina’s possibility to develop in a healthier way as a woman while Leroy entices her into the adulthood that she is not ready to access. For instance, in a pivotal scene, Leroy gives Nina the homework of masturbating in order to lose stiffness, but when she is accomplishing her assignment on her bed, she realizes that her mother is sleeping on a chair in the corner of the room. In between the tension of opposites is a trickster unable to set appropriate boundaries to inappropriate demands that invade Nina’s capacity to decide, desire, and create by her own. Nina’s mother’s obsession in controlling her daughter affects Nina’s psychological development. Nina’s extraverted sensation is impacted by the Shadow of Erica that does not want her daughter to mature. From this perspective, Nina has noticed that she is missing something that would allow her to complete her performance as the black swan. She does not reject it; rather, she is trying to approach her inferior function by taking a look at her animus, defined as the psychic image of the masculine in a woman (Jung, 1921/1971), which corresponds to the representation of Leroy. Leroy, the animus figure, when trying to help Nina connect with her extraverted sensation, plays the role of her partner in dancing, grabbing her wrist and saying, “Let it go; let it go. Feel my touch. Respond to it; come on!” Leroy’s movement is fundamental in the process of awakening the inferior function that Nina has rejected but that is now becoming her route to using her senses in relation to the external world. He is asking her to appreciate the details and to respond with an active involvement, which describes what Haas and Hunziker (2011) stated about extraverted sensation individuals: “[They] need the immediate sensation of an external object, person, or event in order to have an experience. There is no experience without active involvement in the environment through one or more of the senses” (p. 34). As her extraverted sensation awakens, Nina is able to make her own voice heard at home as well. For example, she defies her mother and goes out for a drink with Lily, indicating that she is accepting the invitation of her extraverted sensation inferior function to connect with other aspects of her personality. Lily could be seen as an extraverted type, specifically an ESTP, who tends to engage people with her friendliness and animated way of speaking and moving. Lily’s inferior function corresponds to Nina’s dominant function, introverted intuition, which affects extraverted sensation types in different ways, including, as Quenk (1993) said, “everyday sensitivities, projections, and ways of relaxing” (p. 143). This is very accurate for Lily, who carries a case of cigarettes and psychoactive substances in the form of pills as means of relaxing and getting in touch with her inferior introverted intuitive function. ERICA: What happened to my sweet girl? ERICA: You can’t handle this. NINA: I can’t? I am the swan queen. You are the one who never left the corps. Throughout this dialogue, a trickster energy is noticeable in both women. However, whereas Erica’s trickster is focused on damaging Nina, Nina’s trickster is focused on protecting herself and, as Haas and Hunziker (2011) said, “[getting] out of the double binds that other people set” (p. 216). Nina is caught between two undesirable outcomes: if she dances, she upsets her mother, and if she pleases her mother, she does not get to dance. Haas and Hunziker (2011) mentioned, “Beebe believes the trickster compensates for the vulnerability of the puer/puella in us, enabling us to better survive the cruelty of the world” (p. 216). The trickster emerges in Nina’s case to compensate for her fragility in a world that has blocked her own capacity to think, choose, and decide. In other words, Erica has affected the development of Nina’s puella introverted thinking function (Ti) and her trickster extraverted thinking (Te). Nina finally gets her opportunity to dance both roles. Leroy tells her, “The only person standing in your way is you. It is time to let her go. Lose yourself.” However, during the first act, when Nina is the white swan, she falls down on the stage, a situation that makes her feel embarrassed, angry, and very sad. Leroy’s advice of losing herself and the falling on stage while performing a known role indicate that Nina is losing control over her dominant function Ni, from where she dances the white swan. If she loses control as Leroy suggests, she loses what she knows, which in life must happen to face the challenges that naturally arise, but Nina’s falling suggests her incapacity to face the unknown, the dark side of her dance. In seeking perfection, she is dancing with the ego, forgetting that behind her is a shadowy figure pushing to be recognized. When Nina enters the dressing room to put the black swan costume on, she has to fight for it. She discovers that Lily is wearing the dress. This scene is significant because it is precisely here where Nina overcomes her opposite side (Lily) to integrate the black swan. Nina kills Lily by driving a shard into her stomach. Now, Nina embodies the black swan, undergoing her transformation. Dressed in black and wearing the dark make-up of the black swan, she looks fierce and powerful, open to what the extraverted sensation function has for her. With black feathers bursting out from her shoulders and back, Nina dances with ferocity and spontaneity, but something unexpected happens. When Nina finishes the penultimate presentation, Lily congratulates her. At this moment, Nina realizes that the one she has stabbed is herself. This scene implies that Nina has experienced a psychotic episode in which the trickster has taken control from its more destructive side. She has killed the black swan, her inferior function, suggesting that when overcoming the dark forces of the unconscious, the movement can be fatal if there is an absence of consciousness. The final scene shows the wounded Nina dancing her last performance. At the end, when Leroy notices that Nina is bleeding, he asks her, “What did you do?” And Nina responds, “I felt it. It went perfect. That was perfect.” Beyond the literal death, Nina has reached perfection in losing control and in surrendering to the wild and instinctual aspects of the inferior function (Se), yet she has killed herself. At the moment when Nina is bleeding, she is feeling and sensing the world, her wounded world. Perhaps this is the moment when she recognizes what she has missed, the realization of an unconscious power that was demanding to be seen but that she neglected in her search for perfection. The death of the black swan mirrors this aspect, making us aware of the importance of seeing the dark forces of the unconscious, because to dance only from the known side can activate desires of perfection, inflating the ego in a destructive move. Nina’s death reflects symbolically not only the destruction of what we think is foreign or shadowy to us, but also the idea that dancing with the Shadow can be deadly when its creative aspects are channeled in a destructive way. In other words, the unknown, shadowy, or dark side can be for or against us, depending on how we dance with it. Aronfsky, D. (Director). (2010). Black swan. [Motion picture]. U.S.: Fox Searchlight Pictures. Jung, C.G. (1921/1971). Psychological types. In: R.F.C. Hull (Trans.). The collected works of C.G. Jung (Vol. 6). Princeton, NJ: Princeton University Press. Quenk, N. L. (1993). Beside ourselves: Our hidden personality in everyday life. Palo Alto, CA: Consulting Psychologists Press. Sandner, D. & Beebe, J. (1995). Psychopathology and analysis. In M. Stein (Ed. ), Jungian analysis, ( pp. 322-330). La Salle, IL: Open Court. Sharp, D. (1987). Personality types: Jung’s model of typology. Toronto, Canada: Inner City Books. von Franz, M-L. (1971/2013). The inferior function. In Hillman, J. & von Franz, M-L., Lectures on Jung’s typology (pp. 3-88). Dallas, TX: Spring Publications. 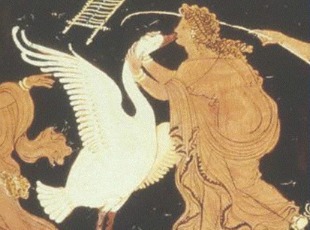 Header image: “Leda and the Swan,” 4th C BCE. 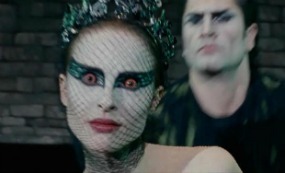 Still shots from Black Swan. Promotional poster for Black Swan. I’ve not seen it so by reading this I have stupidly ruined the ending for myself…but what a fantastic piece of writing! I am INFJ and I am unsure whether I have learned yet how to dance in the most productive way with my shadow. Perhaps watching this will help illuminate things, thank you Diana!